The world of marketing has changed drastically over the past decade, but one thing is certain, getting your message or offer in front of your customer, potential customer, or past customer is still the basis of a strong marketing campaign. But what is the best platform to do that on? 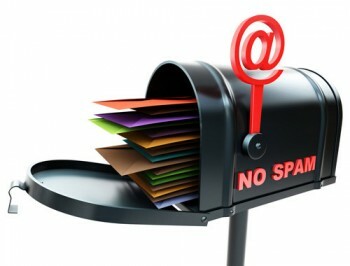 There are many choices, but the email inbox is still a very personal way to communicate with them. Email marketing is generally subscription based, meaning the recipient has given you or your company permission to email them. This list needs to be treated like gold, because what is given can be taken away, meaning there is usually an UNSUBSCRIBE option on all the emails sent to your list. Unsubscribe is often clicked on when you are sending out too many emails that are not providing value or relevant information to your subscriber list. Can you hit a “home-run” every time you send an email out? Not likely, but if you are strategic in your email marketing campaigns an provide useful information or exclusive offers your emails subscribers should grow and not shrink. When you offer an opt-in box on your website for a visitor to be added to your email list, you need to have a welcome email setup in an auto-responder through your emailing marketing or e-commerce service. Some popular services are Constant Contact, MailChimp, Aweber, 1ShoppingCart, Infusionsoft and Shopify. Marketers have a huge opportunity with welcome emails. According to Skyline Technologies, welcome emails have an average open rate of 50-60%. With a high open rate you can see the importance of the welcome email to new subscribers. The welcome email is also a great time to introduce your subscribers to your blog, with a direct link and description, ask them to join you on social media, again with easy links to your accounts, and give them the opportunity to contact you directly about your product or services. After the initial welcome letter, be sure to have your email marketing plan in place so that your subscribers continue to receive your emails on a regular schedule. Managing your email marketing can be a lot of work, but you can’t ignore a list of people who have asked to receive updates from you. If you can’t handle it yourself, find someone who can help you with managing it. Don’t let your subscriber pot of gold turn into dust! This entry was posted in Blog and tagged blogs, delegate, ecommerce services, email marketing, marketing, opt-in, resources, subscriber, VA, virtual assistance, virtual help, welcome on August 5, 2014 by Michele.